The installation Korsmos Ugress Arkiv (”Korsmo’s Weeds Archive”) by visual artists Kristin Tårnesvik and Espen Sommer Eide takes as its point of departure Norwegian biologist and scientist Emil Korsmo (1863-1953) and his lifelong and elaborate research project in order to combat weeds. Korsmo’s research gained a great importance to the agricultural development not only in Norway but worldwide, and thanks to his research, a great part of the food shortage that Europe suffered from after the First World War could be relieved. 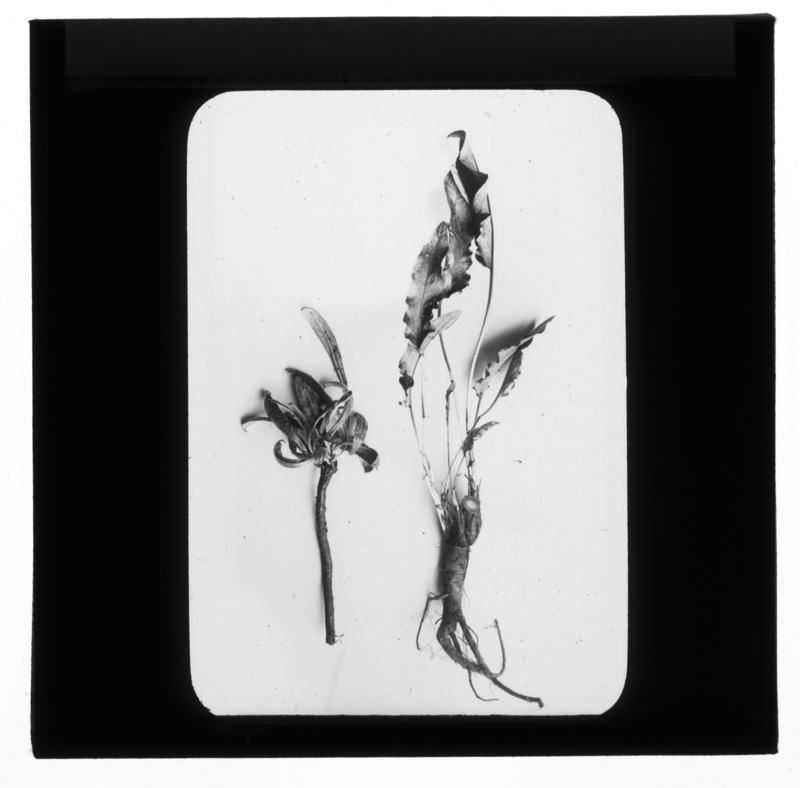 In 2012, the artists found boxes filled with well-preserved plates, books, letters, documents, roots, print plates, seeds and a complete herbarium stored away at Bioforsk, the Norwegian Institute for Agricultural and Environmental Research, in Ås, Norway. What they found there was not only an impressive and detailed collection project but also a testimony to the scientist’s care for his field and material that has inspired the artists and found its way into their installation Kormos Ugress Arkiv. The installation consists of different elements illustrating the systematism and elusiveness told by the weeds archive and the history surrounding it. The work raises questions in relation to how science has historically presented itself, concepts of public information, and archives that are lost, and it addresses a complex aspect of the archive: the blind spots of systematism, the transposition of material from one context to another, and how different elements are brought together to become a part of a new whole. In the same way in which the archive transforms the material it has collected, this installation at Nikolaj Kunsthal reassembles the collected pieces as a sensory experience.